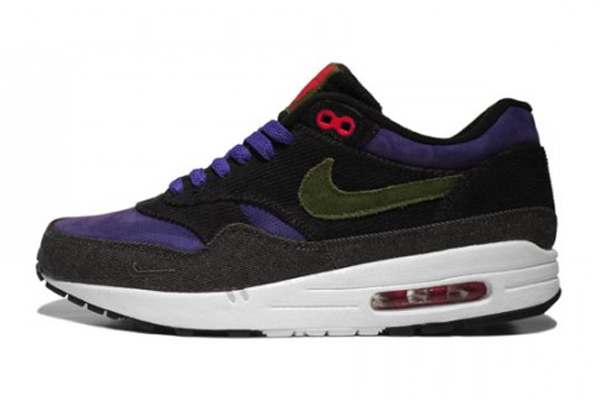 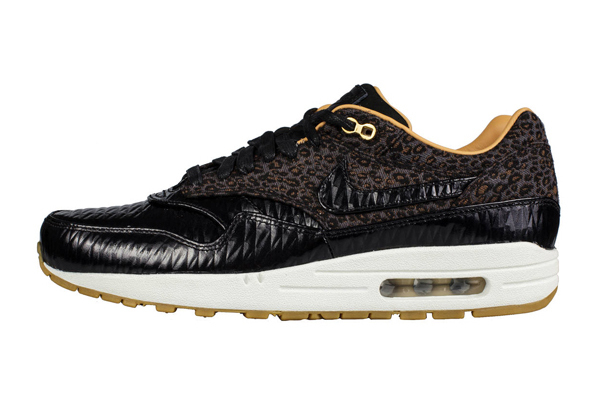 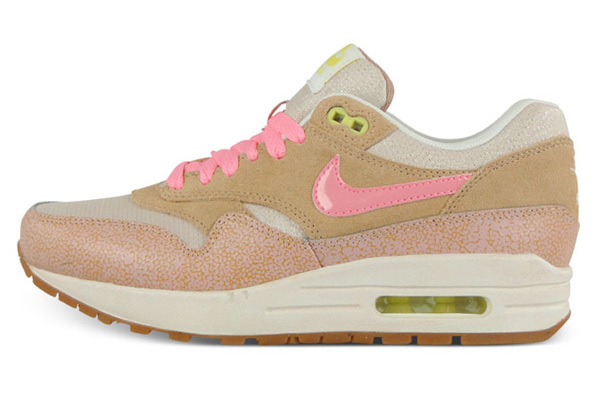 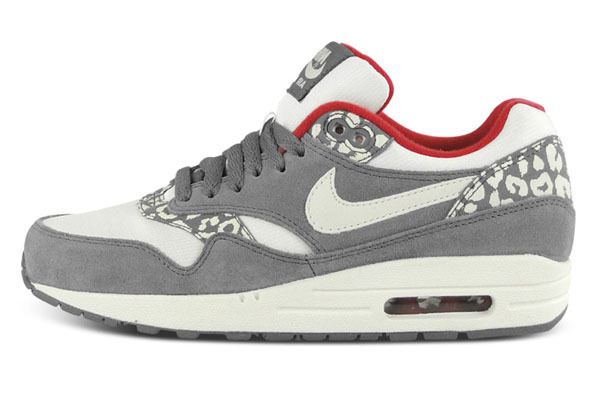 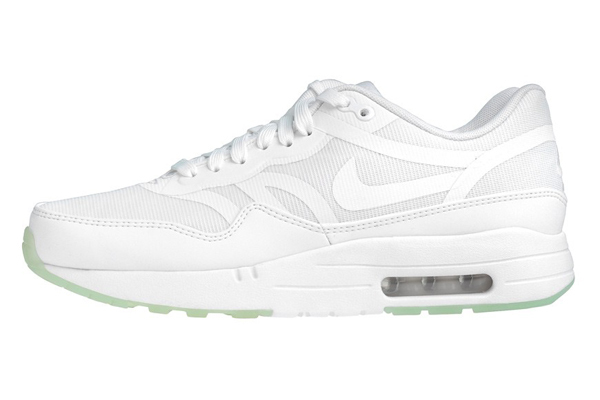 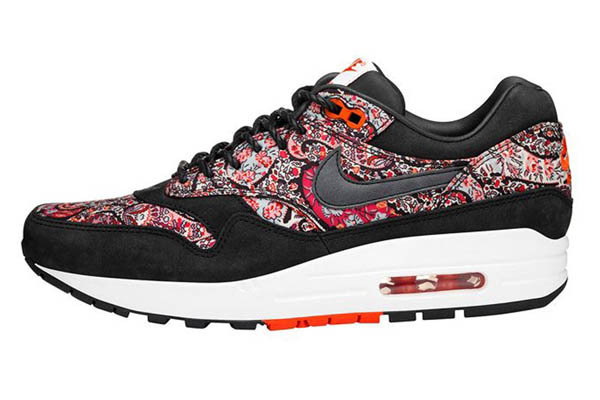 This extremely sweet Nike Air Max 1 WMNS Hyperfuse Premium edition is going to be an instant hit. 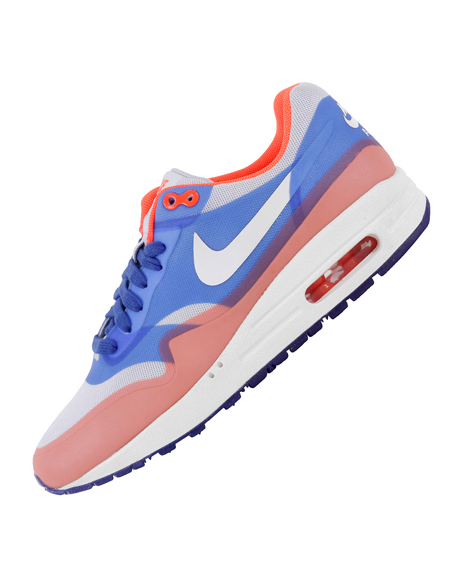 It has to be. 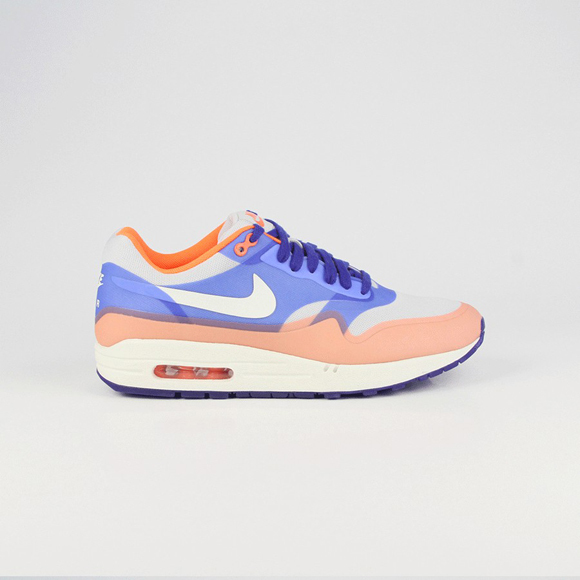 Women like these sweet colors and they likely have to be really strong, nót to get there wallets out for these beauties. 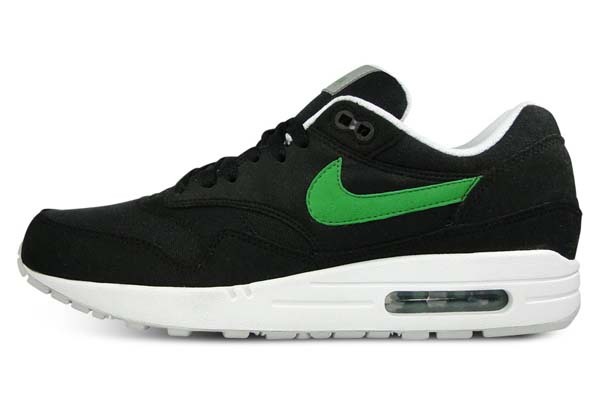 Nike surely has a great trendwatcher at there service, because no one could have predicted this trend as good as this one. 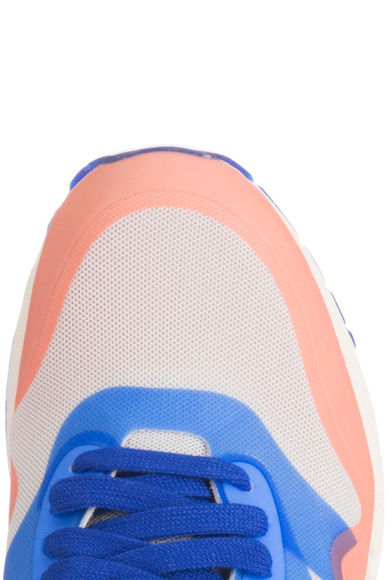 On the catwalk of the biggest fashion houses we saw bright colors combined with each others. 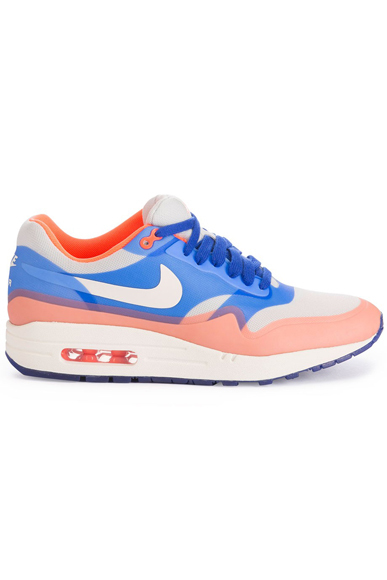 They call it ‘colorblocking’. 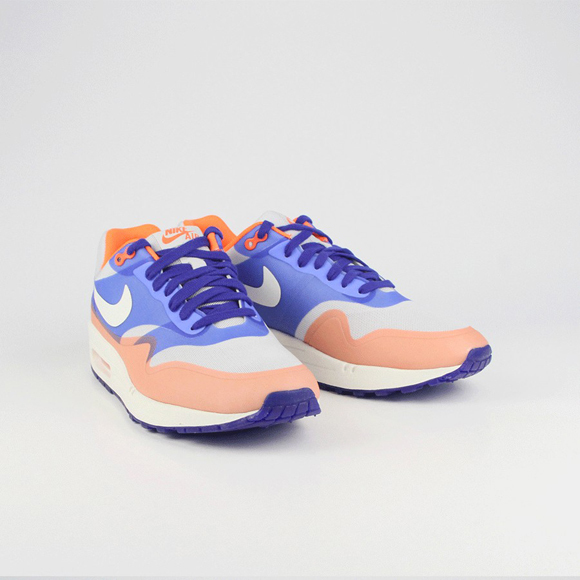 And also soft pastel shades were combined together or with those colorblocking shades. 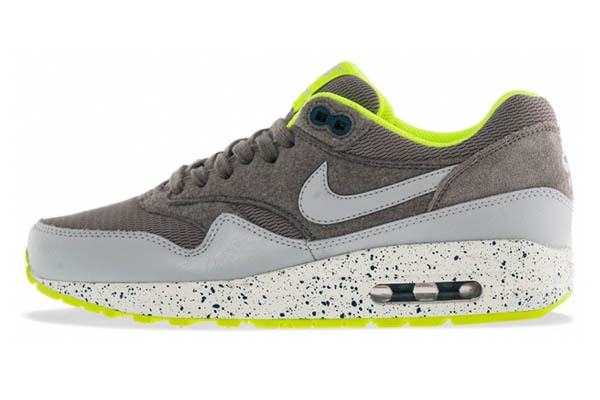 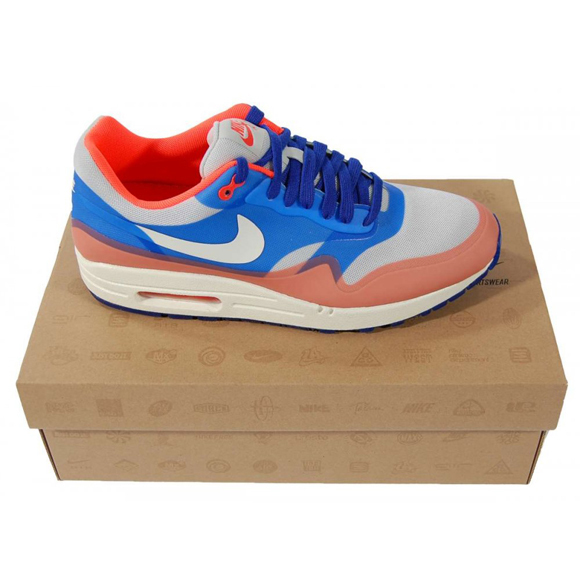 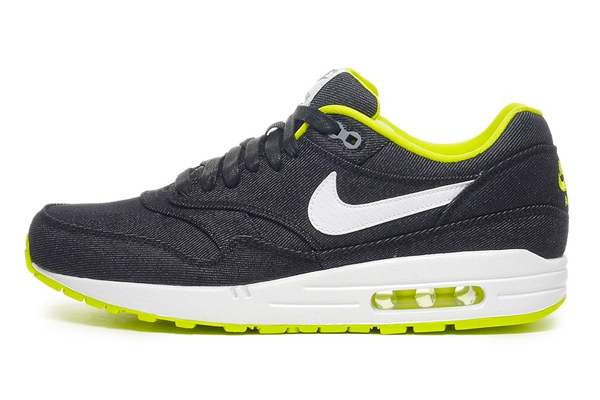 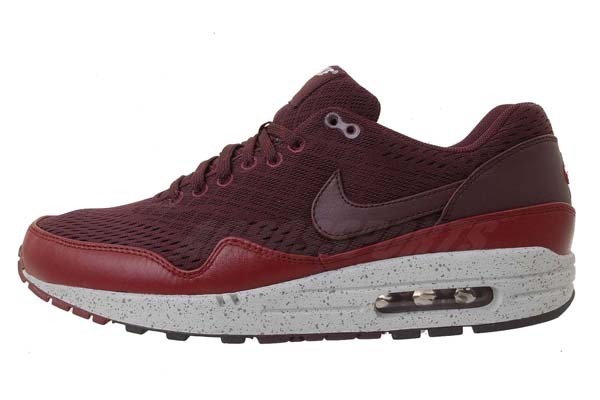 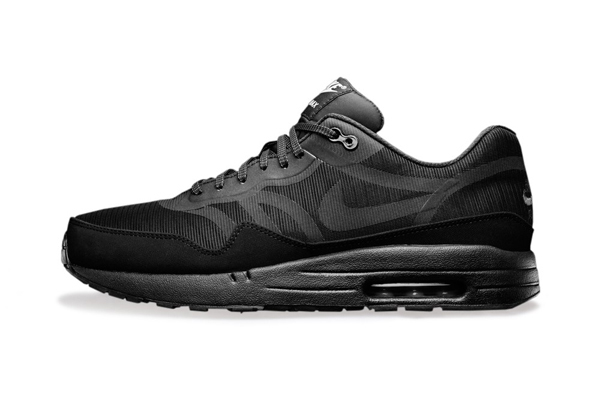 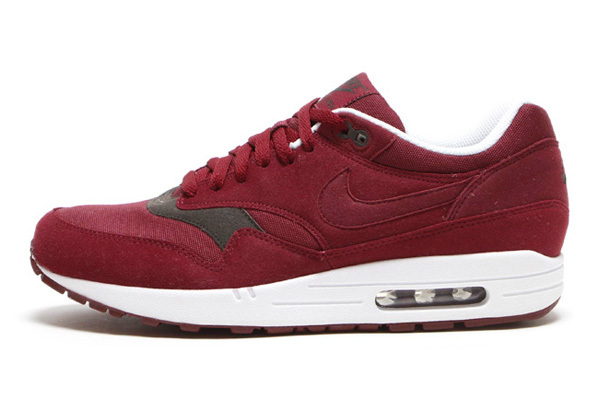 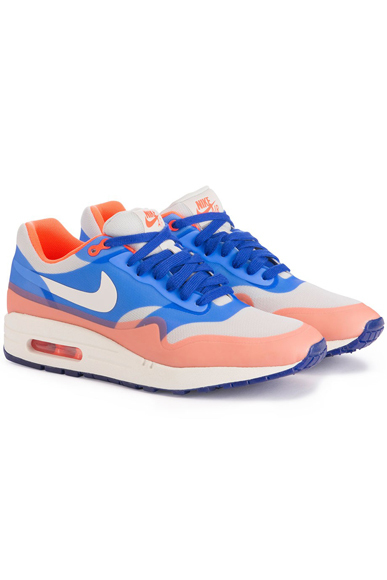 So the designers of the Nike Air Max 1 thought: lets combine those trends into once perfect shoe. 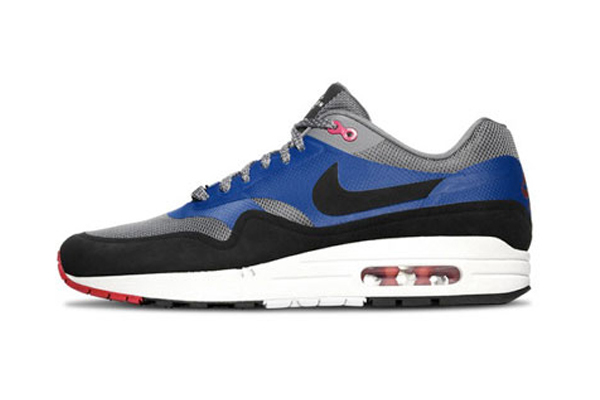 And thats how the Nike Air Max 1 Hyperfuse Premium Hyper Blue Total Crimson was born. 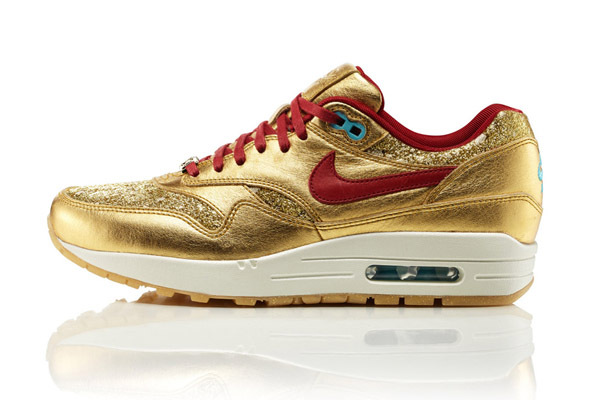 This shoe will be released in juni 2013 so make sure you make a note of that. 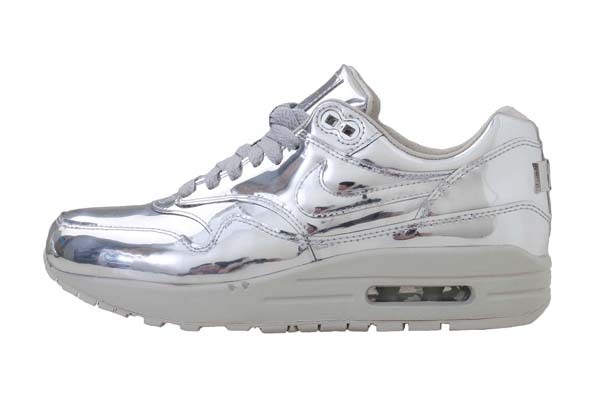 Because we can imagine this shoe will sell like hot cakes over the counter. 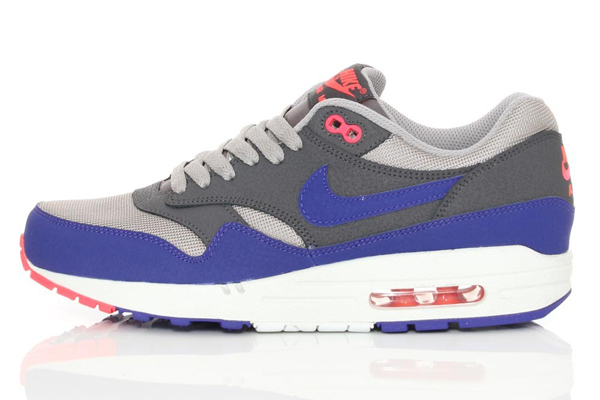 This Nike Air Max One Premium Hyperfuse collection has, next to the normal Nike AM1 elementes, also some Air Max ‘90’ and some 97’ looks to it. 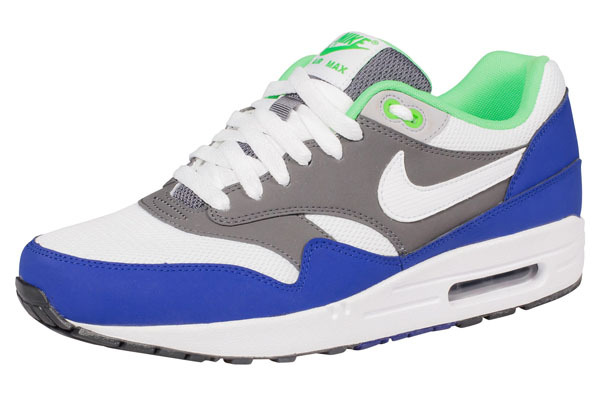 This shoe has a white mid-sole and a dark blue rubber sole. 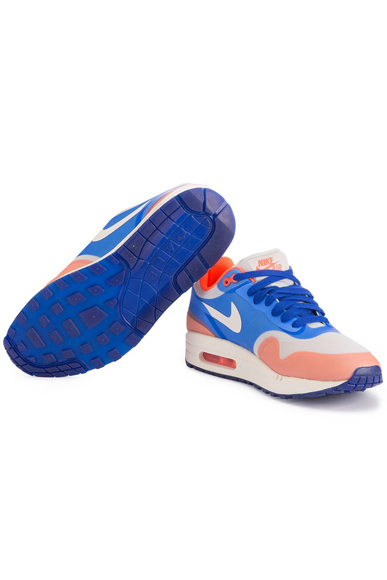 This shade of blue is also used for the laces. 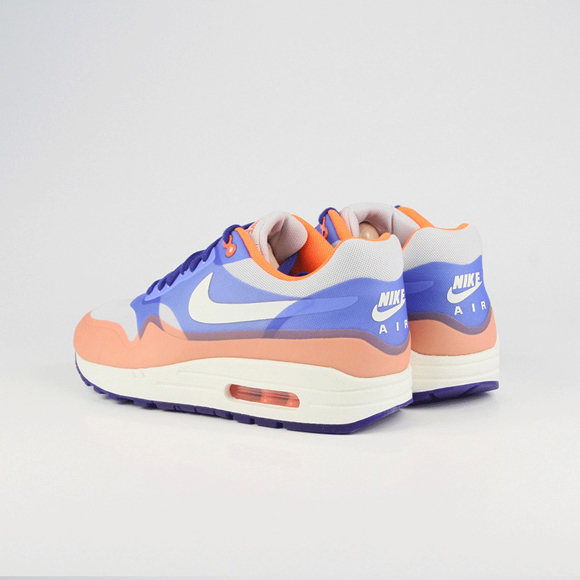 Around the shoe you see a path of soft peach leather and also some light blue leather. 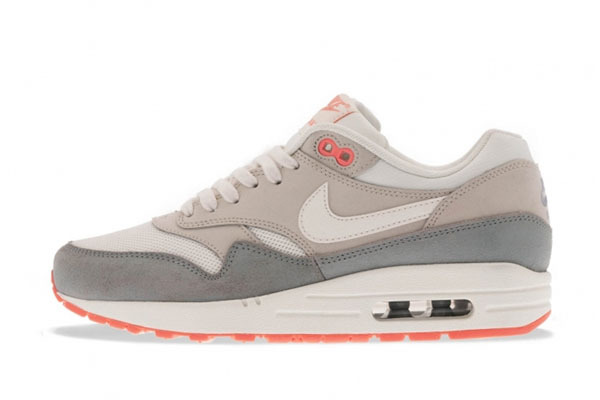 The air-bubble in the mid-sole is orange, so this main color keeps coming back.